Celebrating Mysteries: Call In the Marines! 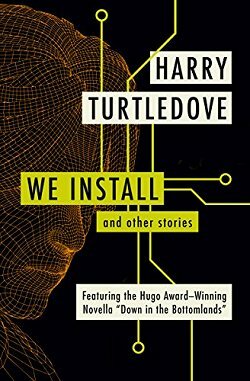 Military Family Appreciation Month continues here on Kittling: Books with a feature on four crime fiction authors whose main characters all have something in common: they're Marines. Last week may have been a tip of the hat to the Navy and the three generations of sailors in my life, but this week, I'm saying a thank you to my cousin the Marine who served in Vietnam. Thank you, Stan! Let's take a look at the authors, books, and characters that I'm spotlighting this week! There's not much information on Garrison Allen, AKA Gary Amo, and he probably likes it that way. 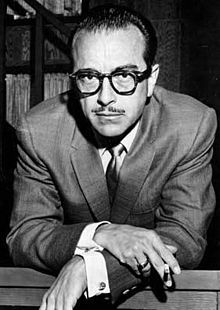 I do know that he is a past President of the Southern California branch of the Mystery Writers of America, and that one of his thrillers was nominated for an Edgar Award. I also know that he wrote a mystery series featuring Penelope Warren, an ex-Marine mystery bookstore owner, and "Big Mike", a 25-pound Abyssinian cat, living in Empty Creek, Arizona. There are six books in this series. The first three are: Desert Cat (1994), Royal Cat (1995), and Stable Cat (1996). 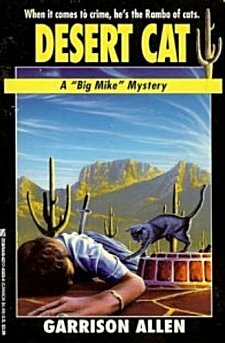 Former Marine and current mystery-bookstore owner Penelope Warren and her cat, Mycroft, come home one day to find the dead body of Empty Creek's wealthy busybody, Louise Fletcher, on their porch and involve themselves in the murder investigation. The murder weapon, a chopping knife, may have been intended for Warren, also known as Penny, since a penny is attached to the handle; later Warren discovers that the victim kept detailed files on almost every citizen of Empty Creek. This mystery has an appealing cast of eccentrics, including Warren's klutzy boyfriend, newspaper editor Harris Anderson III; romance novelist Elaine Henders; and Warren's sister, who acts in B-movies under the name of Storm Williams. The setting is a pleasant Arizona desert town whose single bar serves as a gathering place--even Mycroft laps up non-alcoholic beer while seated on a stool. There's not much information available on Wendi Lee either, other than the fact that she's written two mystery series and lives with her family in Iowa-- but at least I found a photo! The books that I'm spotlighting today are from Lee's Angela Matelli series. 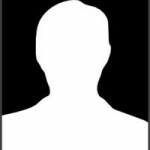 Angela is an ex-Marine turned private investigator in Boston, Massachusetts. 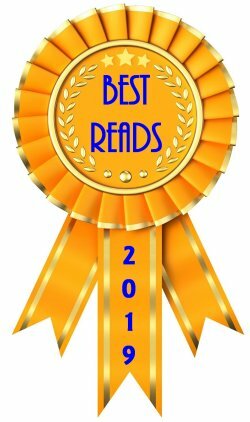 There are five books in the series, and to start your reading off right, here are the first three: The Good Daughter (1994), Missing Eden (1996), and Deadbeat (1998). Ex-Marine Angela Matelli returns to her hometown of Boston to start a career as a private investigator. Her first client is retired policeman Tom Grady, who hires Angela to investigate his daughter's boyfriend. What starts out as a routine background check soon becomes a tangle of murder, cover-up, and intrigue when Grady is found dead outside his favorite bar. Richard Prather served in the U.S. Merchant Marines during World War II and became a full-time writer in 1949. After a disagreement with his publisher in 1975, Prather stopped writing for several years and grew avocados. He returned to writing in 1986. He was awarded the Lifetime Achievement Award by the Private Eye Writers of America. 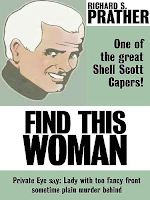 His long-running series features Shell Scott, an ex-Marine turned private investigator in Los Angeles, California. This series has 38 books. The first three are: Case of the Vanishing Beauty (1950), Find This Woman (1951), and Everybody Had a Gun (1951). 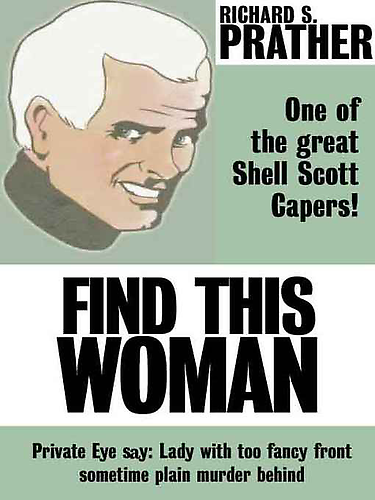 Shell Scott. He's a guy with a pistol in his pocket and murder on his mind. The crime world's public enemy number one, this Casanova is a sucker for a damsel in distress. When a pair of lovely legs saunters into his office, he can't help but take the job, even when the case is a killer. There are way too many dames knocking at Shell's door, all saying they are the same woman. Not that Shell minds a private Las Vegas harem, but they are really complicating this case. He has his hands full peeling each woman's mask, but Shell can handle it. It's a dirty job, but somebody's got to do it. He's going to find this broad or die trying. 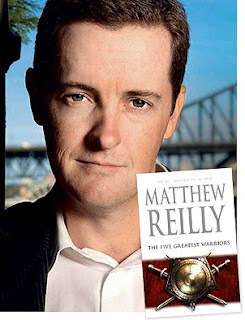 Australian Matthew Reilly is an international bestselling author who actually disliked reading during most of his early school years. It wasn't until he read To Kill a Mockingbird and Lord of the Flies that he learned the power of words. In 1996 he self-published and hand-sold his first novel, and to date has written ten novels. 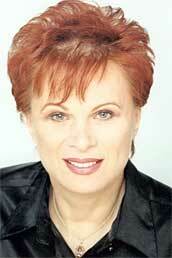 Reilly has written a series of five books featuring Shane Schofield (Scarecrow), the leader of a team of Marines. The first three books in the series are: Ice Station (1998), Area 7 (2001), and Scarecrow (2003). 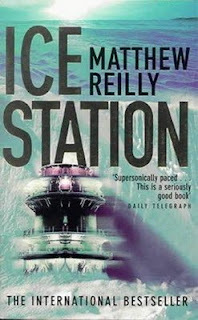 Fans of Clive Cussler will enjoy this first novel by Australian author Reilly. Set in Antarctica, Ice Station pits a group of U.S. Marines against a host of unexpected adversaries. Buried deep in the ice, in a layer 100 million years old, is something that arouses the greed of governments around the globe. Their respective Special Forces units are unleashed in this inhospitable land in a race to claim the hidden treasure. 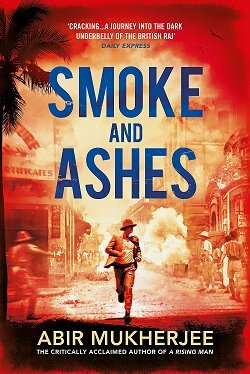 The book moves along at a good pace, and as with all well-told military thrillers there are plenty of unexpected twists, turns, and betrayals. Reilly's characters are colorful and engaging, and his bad guys are more wrong-headed than evil. The laws of science are sometimes shunted aside to make way for improbable weaponry and impossible situations, but that's just part of the fun. 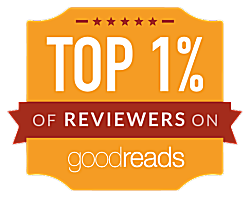 Hopefully I've added an author or two to your wishlist. I know that I've laughed reading Garrison Allen and Richard Prather (for entirely different reasons), and I've ordered books by Lee and Reilly. 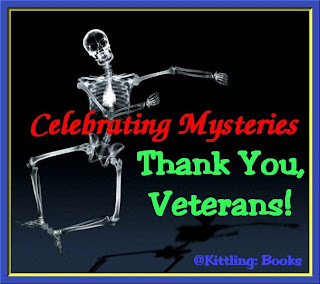 Join me next weekend when Celebrating Mysteries will be visited by the Air Force!